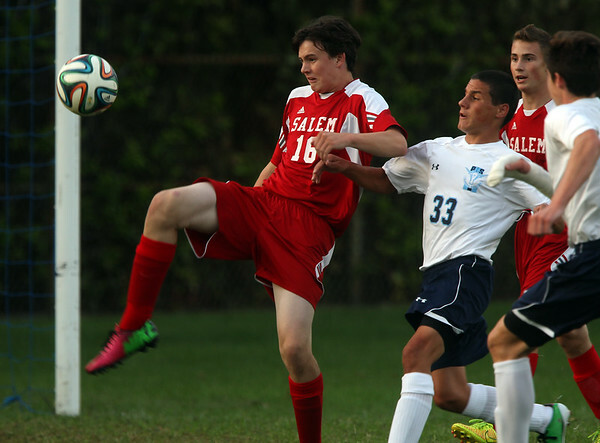 Salem defender Eamon Williamson (16) concentrates on the ball while clearing it out of the Witches box while being pressured by Peabody midfielder Evangelos Andrias (33) on Tuesday evening. DAVID LE/Staff photo. 9/9/14.